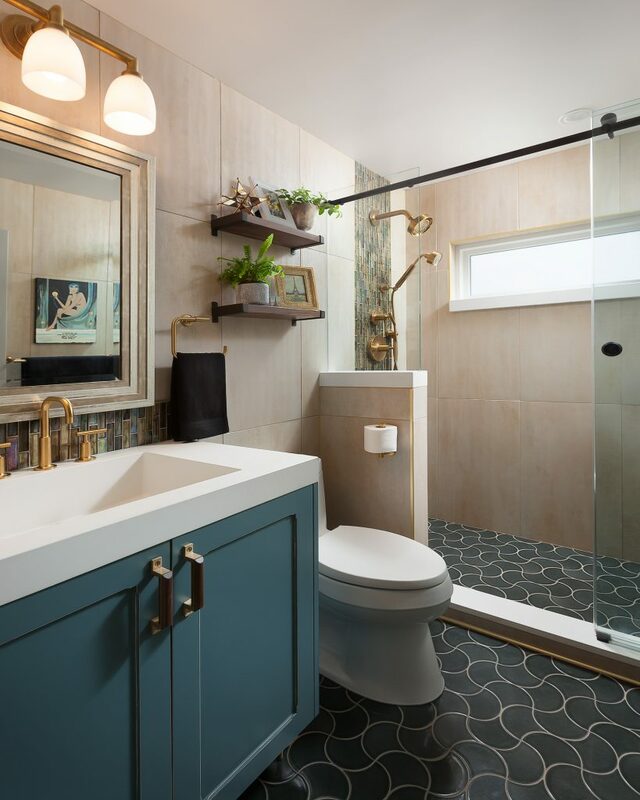 posted on Feb. 18, 2019, at 11:00 p.m.
A blend of fantasy and function, forward-thinking design and respect for historic architectural character, and the highest standards of execution are well represented in the National Kitchen & Bath Association’s 2019 Professional Design Competition, whose winners were revealed this week at KBIS. Regardless of whether the designs were created for a “sky’s the limit” luxury project using the highest-end products and materials, a post-disaster renovation, or clever concepts constrained by space or budget, the winners all met the needs of their clients with a clear aesthetic vision and unique design solutions. 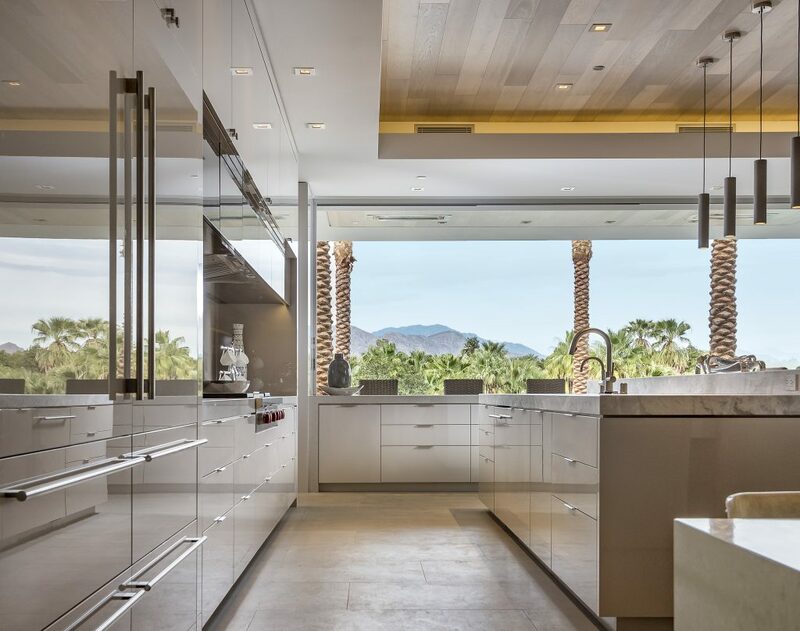 A showcase for the best work of NKBA members, the entries for this year’s competition were scored on graphic and presentation standards, creativity, safety and ergonomics, elements and principles of design, and design planning. Christine Dreith, CMKBD, Home Improvements Group Inc. The 2019 Design Competition Awards were generously sponsored by Monogram, The Home Depot and 2020. The Professional Design Competition is open to NKBA members and will begin accepting entries for next year’s awards in the spring. Winners will be presented at KBIS on Jan. 20, 2020. Visit www.NKBA.org for details and an application packet. Sandra Diaz-Velasco changed the layout of this master bedroom and bath to improve flow and function and take advantage of natural light. 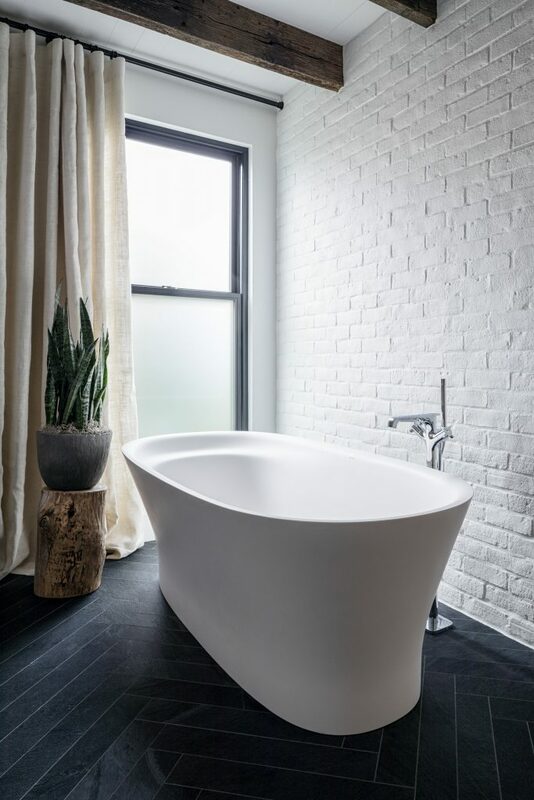 She adjusted ceiling heights, specified a freestanding sculptural tub and mixed warm, rich wood with white to infuse the space with a sense of drama and luxury. 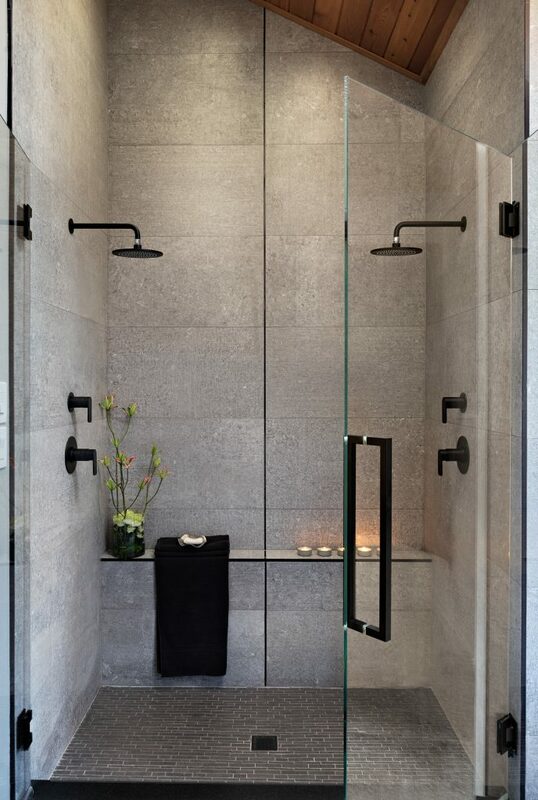 Paul Bentham and Lauren Levant created a clean, sophisticated space that maximized storage and light in this bathroom. The designers used concrete and concrete-look materials to balance the warm wood of the vanity and ceiling, creating a soothing Asian vibe. Janik Lemary took inspiration from the natural beauty and spas of Scandinavia, creating a serene master bath for her clients. Solid chestnut planks, Canadian soapstone and reclaimed bricks added subtle surface interest and were softened with natural linen/burlap draperies, offering understated opulence to this retreat. 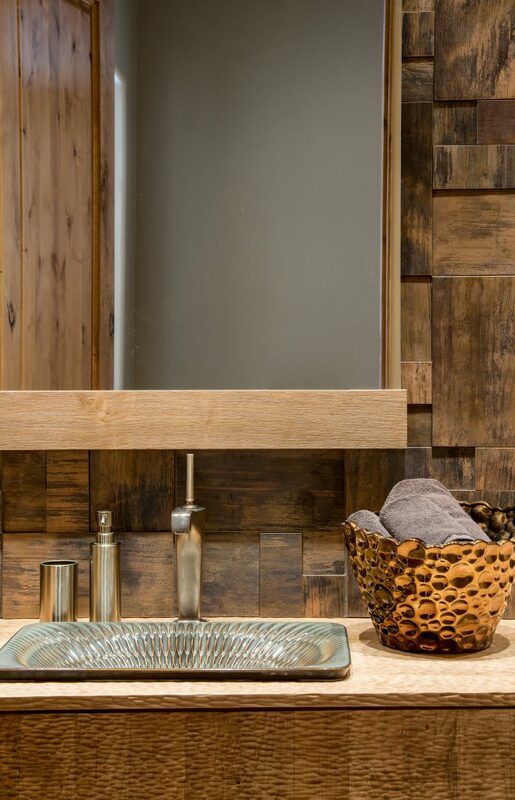 Lora Weaver married subtle nautical influences and rustic textures in this lake house bathroom. An espresso-stained vanity, glazed in black, highlights the knots in the wood, while a porthole-inspired mirror and a two-toned bronze and matte black light fixture add character to the waterside vibe. Nowell Vincent Interiors, Fort Collins, Colo.
A home rooted in the farmhouse style was updated with Moroccan-style tile shapes and vivid colors, along with a splash of Art Deco geometric forms. Nowell Vincent specified floating shelves, Mediterranean blue cabinets, gold and bronze accents to lend a fresh, playful atmosphere. Ariana Adireh was challenged to redesign a small bath for living in place. She succeeded in rearranging the space for easy wheelchair mobility without sacrificing style. Accessible, open shelving provides storage within easy reach, while stylish grab bars, a fold-down wood shower seat and hand-held shower fixtures are functional without looking institutional. COUNTERTOPS: WILLIAMSBURG BUTCHER BLOCK CO.
Janik Lemary took a dark, dramatic approach to this powder room, with black shiplap on the walls leading up to a black painted ceiling. The white oak wide-plank floor and a suspended light marble counter are the only light touches, and a large loft-style window with black dividers finishes the look. 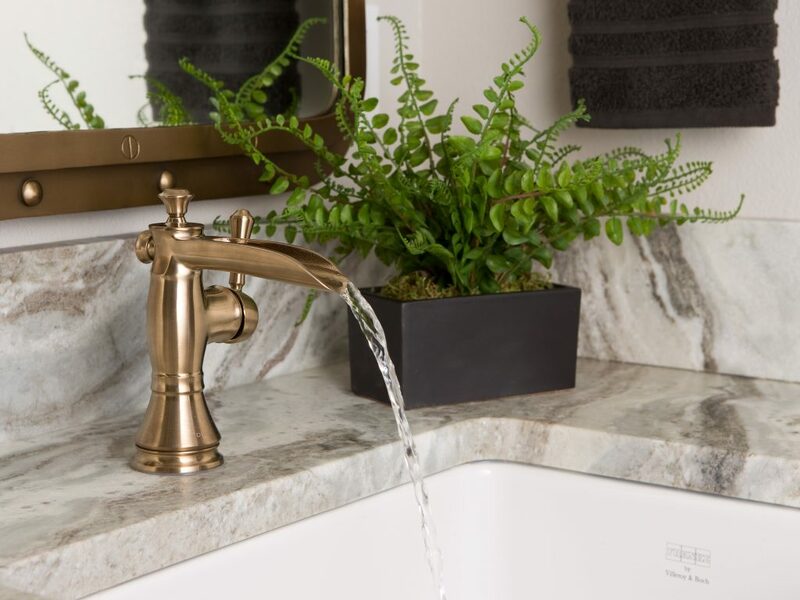 Lori Carroll and Associates, Tucson, Ariz.
Lori Carroll and Alexander Burch transformed a powder room from basic blah into an ethereal retreat. Thin porcelain wall panels in various sizes imitated the look of distressed copper. 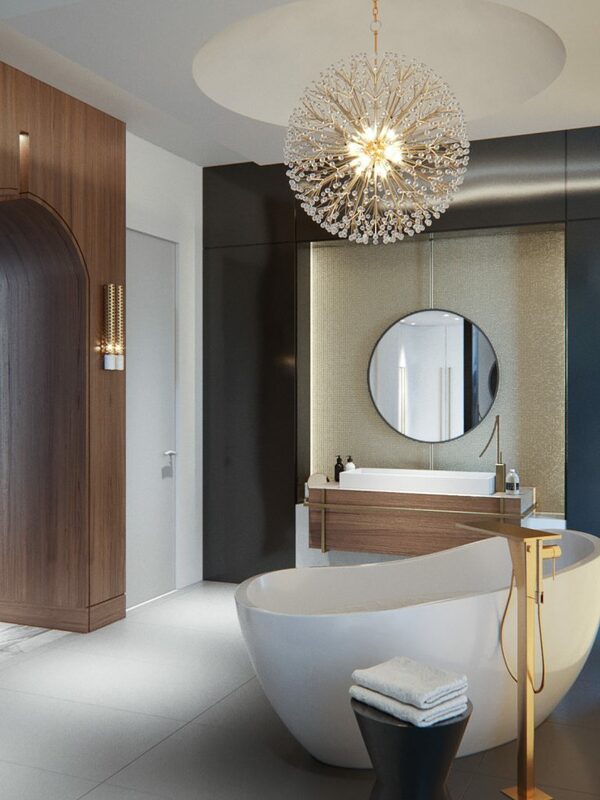 The designers matched existing travertine flooring, floated a custom curved vanity with a shelf below, and specified architectural lighting to create a calm oasis. Sandra Diaz-Velasco achieved a masculine vibe with a clean, modern palette of black and white, edgy details and rugged yet sleek materials. 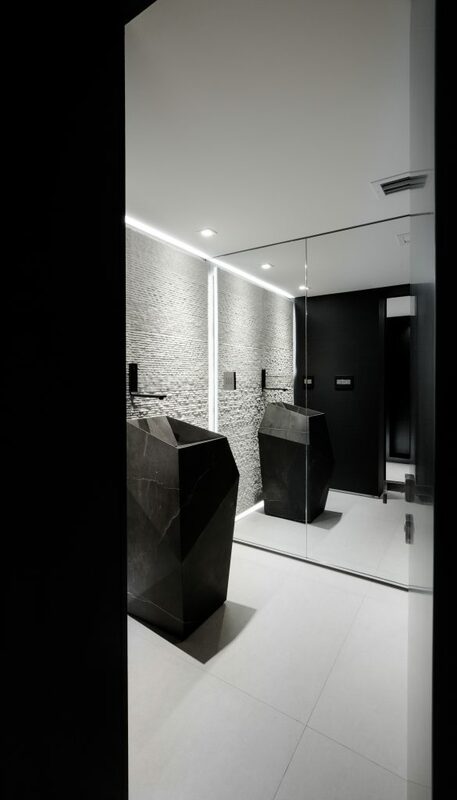 A backlit full-wall mirror and high-contrast colors make the space appear larger, and natural stone adds to the elegant, contemporary design. 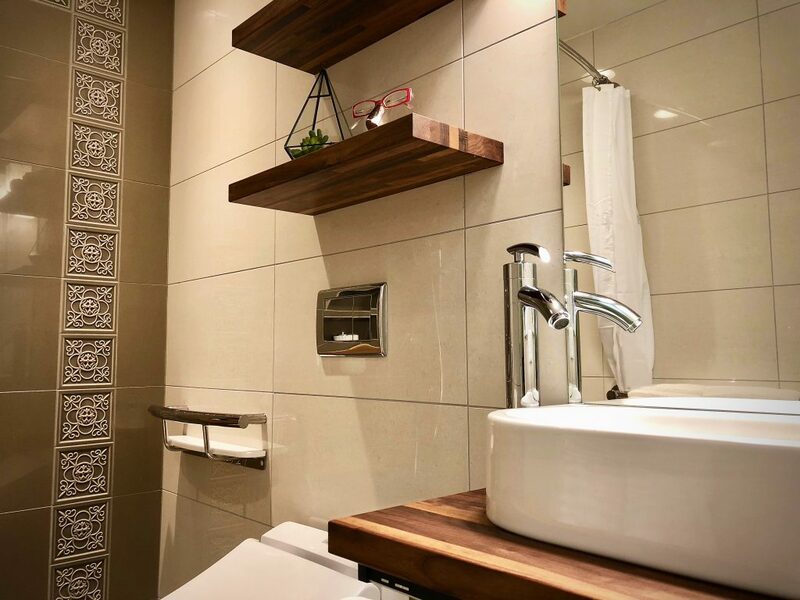 Despite being unable to expand the footprint of an outdated master bath, Negar Reihani improved the storage and functionality with design solutions including a trough sink with two faucets and hidden storage behind mirrored doors. 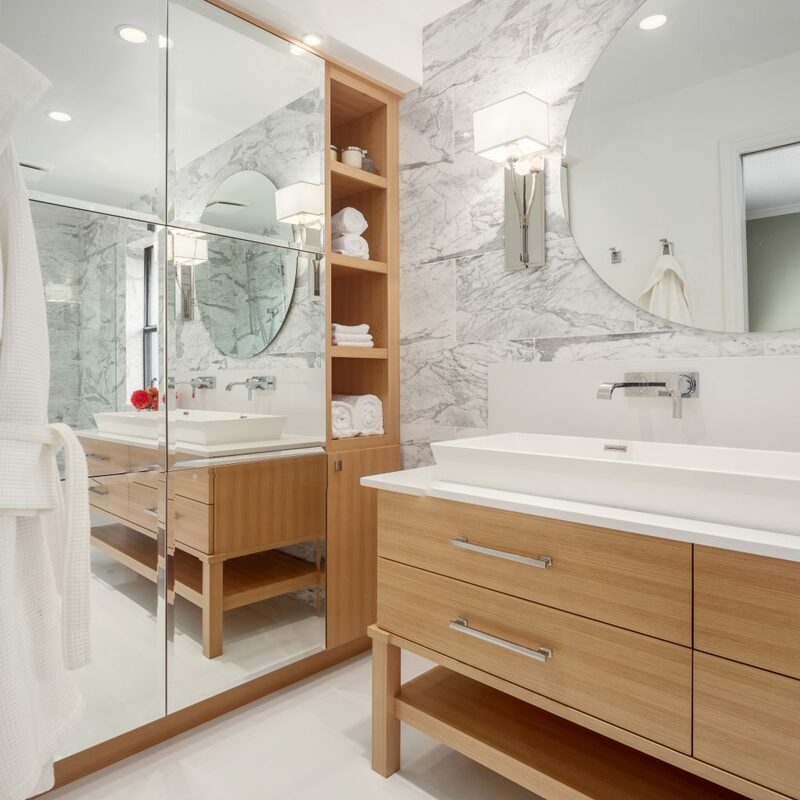 White Statuario marble walls complement custom bleached oak cabinets to complete the sleek renovation. Dvira Ovadia designed multiple work zones with plenty of storage and style, all within a modest budget. 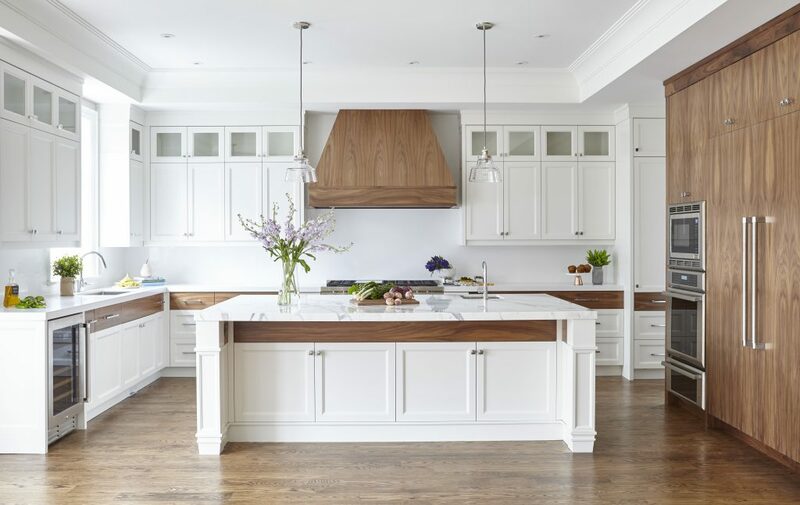 She combined standard white cabinets with strategically placed walnut accents to create focal points, and splurged on marble for the island while using engineered stone on perimeter countertops to create a clean, contemporary space. The light gray, high-gloss lacquered cabinets create an elegant sophistication in this space Philip Nikolich designed for entertaining. To incorporate indoor and outdoor elements, he used a retracting window wall that disappears to showcase golf-course views. Gray and white quartzite and quartz countertops are balanced by a warm wood-plank ceiling with soffit lighting and subtle pendants. 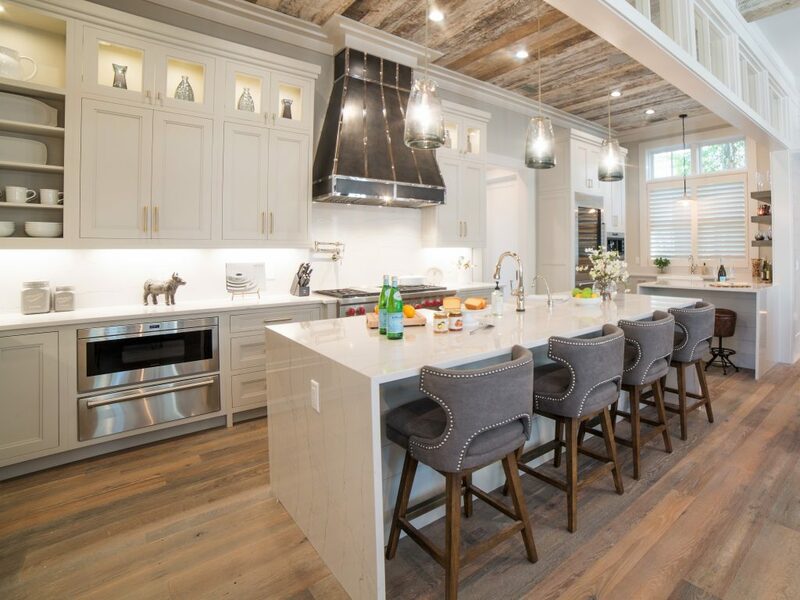 The Cabinet Gallery at H2 Builders, Bluffton, S.C.
Ashley Gossett’s clients wanted a sophisticated yet edgy take on traditional South Carolina Lowcountry in their stylish open plan. She specified luxe appliances — 10 — in several functional zones, including a working kitchen and serving/entertaining area. Custom shaker cabinetry and waterfall-edge counters mix with reclaimed barn wood and a dramatic hood to blend modern and traditional elements. SieMatic Kitchen Interior Design, Charleston, S.C. When her clients purchased a historic house, Leslie Norton was charged with incorporating contemporary elements while respecting the home’s character. 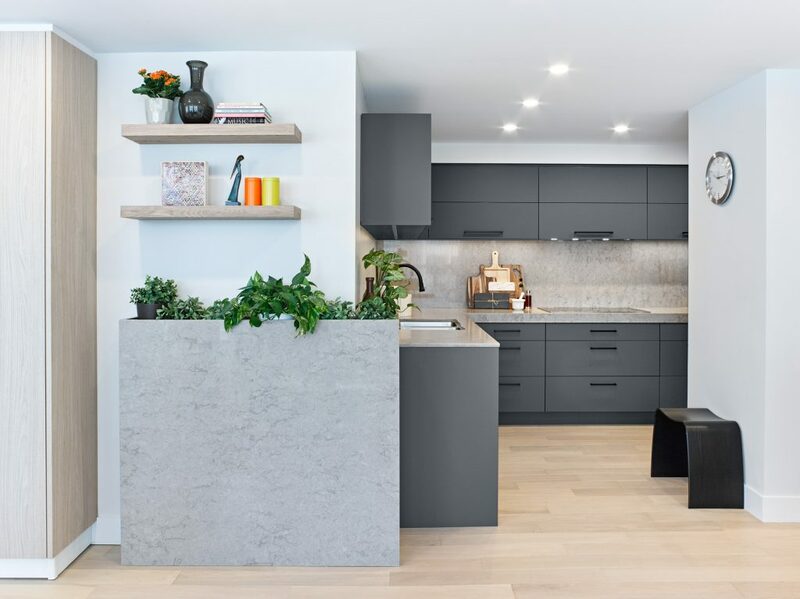 She created three zones in the long kitchen, contrasting dramatic black cabinets and counters in matte and gloss finishes with a monochromatic light-tint floor and ceiling. 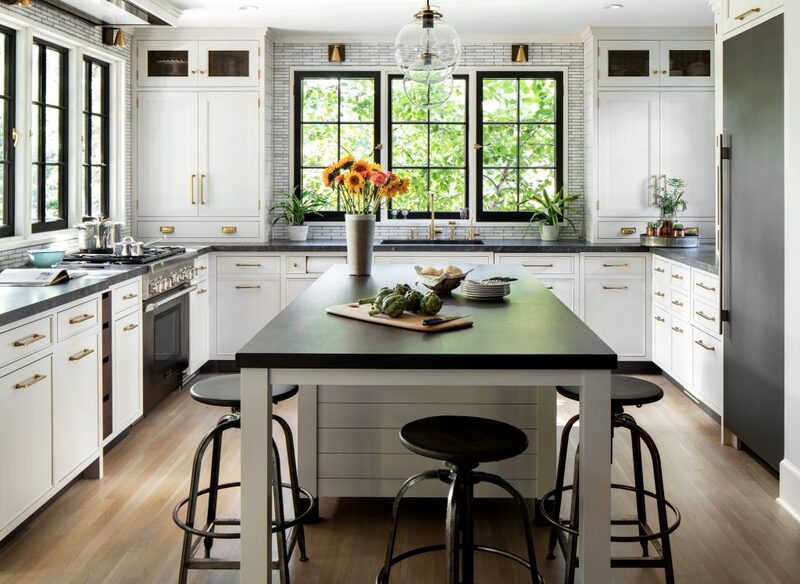 To renovate her own kitchen in this 1920s craftsman home, Sarah Robertson created an open plan while respecting the quaint vibe of the original architecture. She infused linear, industrial style (blackened steel and patinated brass), with elements of mid-century and farmhouse, wood countertops and grid windows. The real hidden treasure is the abundant custom storage, utilizing every inch of space. A fire and subsequent water damage required massive reconstruction in a 1920s-era home, leaving a blank slate for David Heide and Mark Nelson. They swapped the kitchen and family room, unifying the spaces and improving flow, and kept true to the home’s Mediterranean aesthetic with rich wood, tile, a warm palette and decorative ironwork. 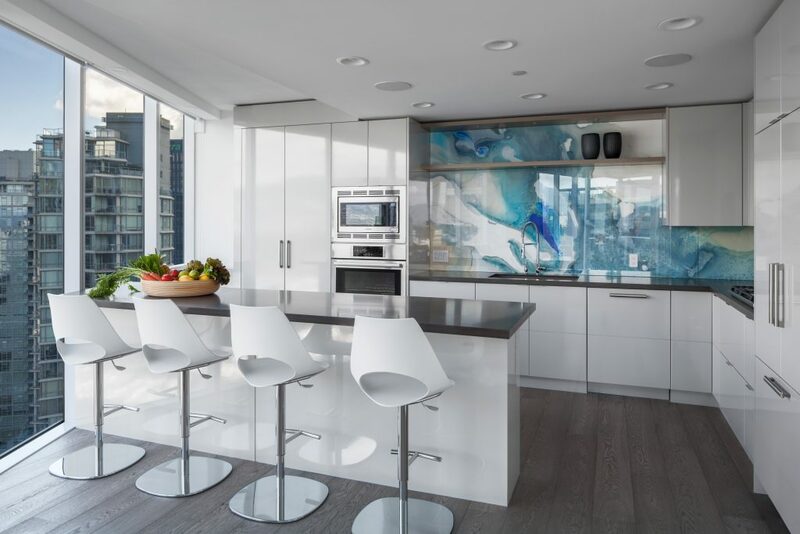 Negar Reihani transformed a dark, outdated condo kitchen by reworking a wall to stretch the space and maximize mountain and ocean views through full-height windows. She echoed the theme with a spectacular blue and white custom backsplash and balanced the blue and the view with light gray cabinets and dark quartz counters. A client’s desire for full-height cabinetry to maximize storage led Martin de Sousa to use contrasting door styles (white panel and wood-grain slab) and different cabinet depths to reduce the kitchen’s visual scale. 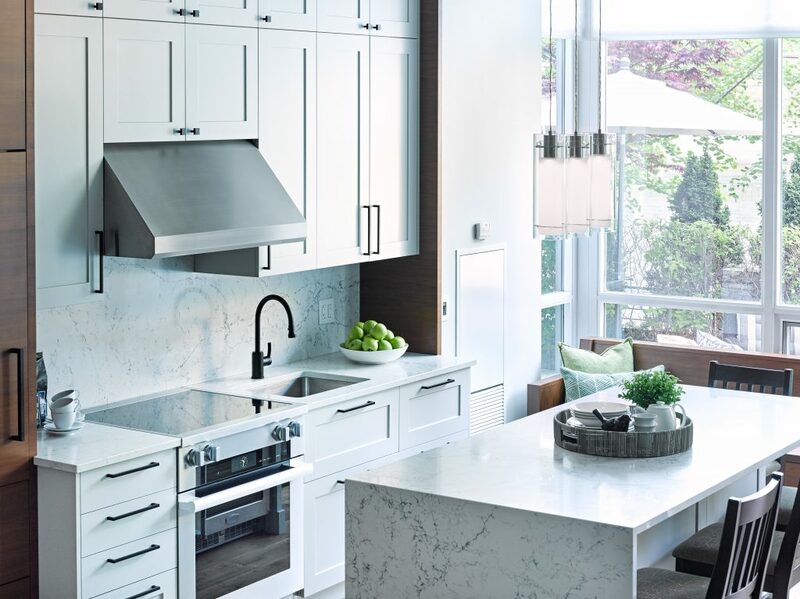 The designer provided additional seating and storage in the bay window bench, and achieved a clean, contemporary look with Caesarstone backsplash, countertop and waterfall. Madeleine Sloback’s clients wanted more storage and a modern look for their compact kitchen. 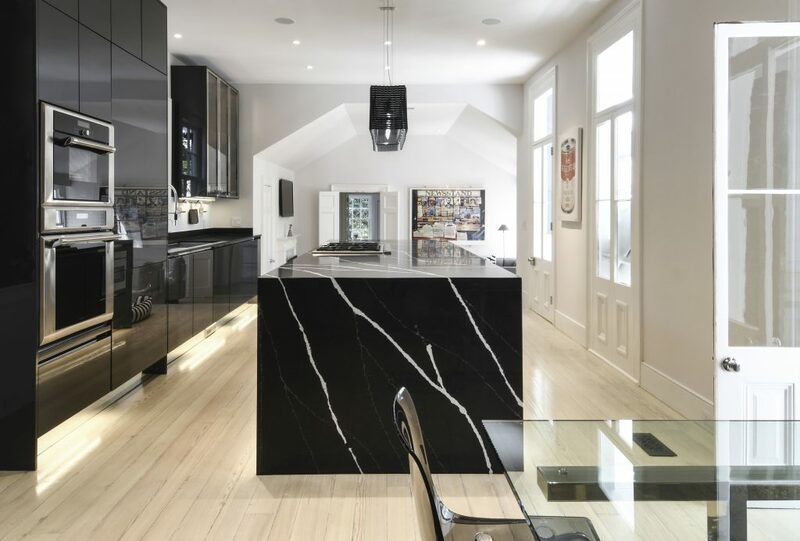 The designer removed walls to improve flow and create an open plan, mixed white slab doors (no pulls) on uppers with sleek, light wood for the floor, refrigerator panels and lower cabinets, punctuated by black pulls, a black accent self and faucet. 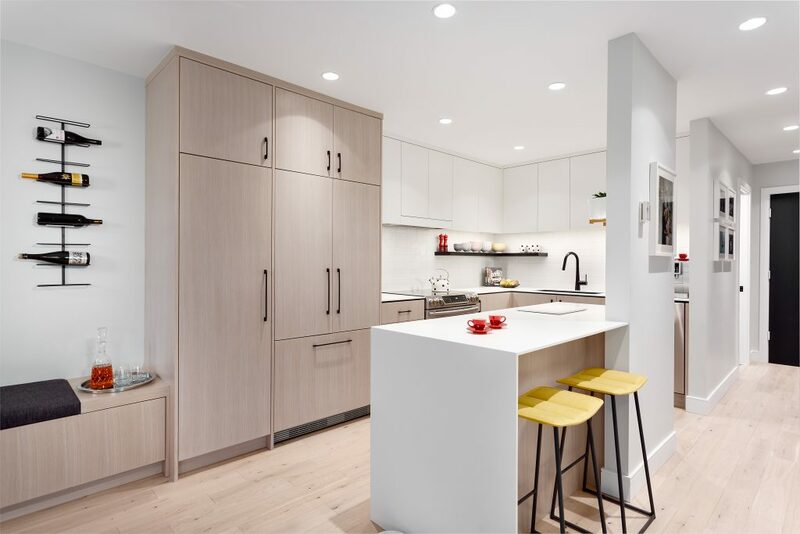 Expanding and opening this condo kitchen to the rest of the living space, Martin de Sousa changed the layout from galley to L-shape, creating a sleek, sophisticated space. Velvet gray cabinets, stone-look quartz counters and rustic wood laminate keep the look contemporary yet natural, with graphic tile, black hardware and faucet adding polish. Megan Saison created a serene, blue spa-like setting with a mix of earthy tones and textures for an active couple thinking of the future.Maximizing the space, she combined showering and bathing areas into one open wet-room with minor structural changes for zero-barrier access, and raised custom sink vanities to accommodate the tall clients. Rosella Gonzalez was inspired by the ocean in this master bath transformation that also has elements of mid-century and rustic design. 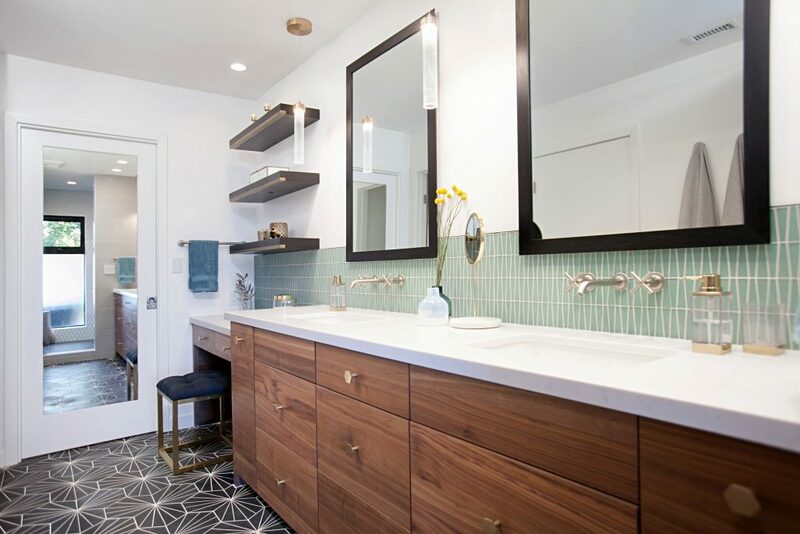 She replaced a tub with a large shower, and used a dramatic combination of patterned tiles, textures and surfaces to make the design statement. 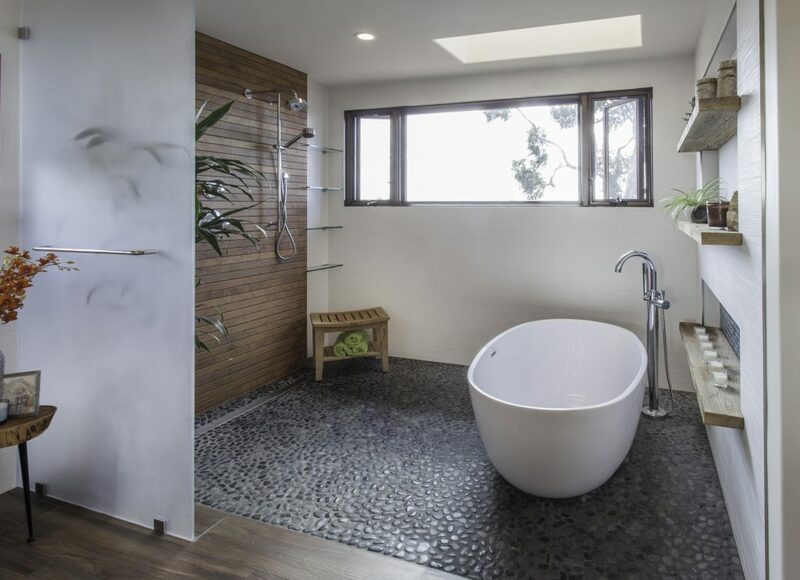 An elongated shower window offers an ocean view in this relaxing retreat. Lauren Levant capitalized on dramatic views, both interior and exterior, in this renovation for a restauranteur. 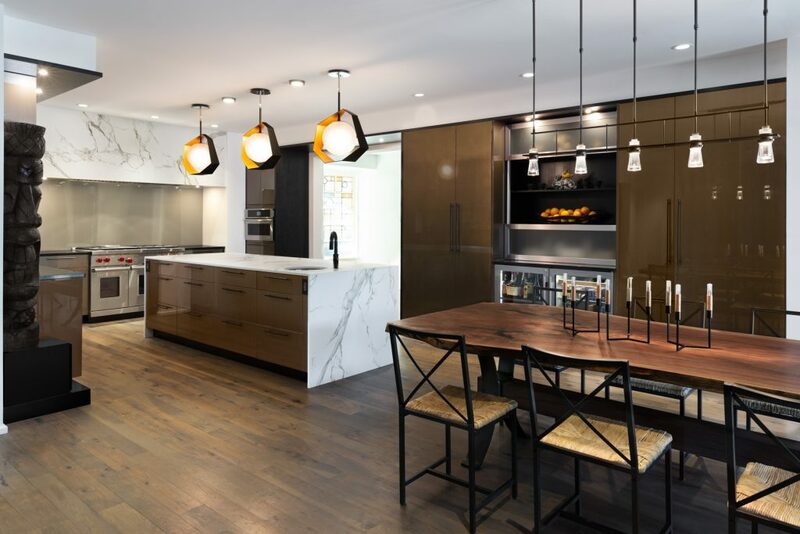 Featuring multiple cooking zones, dramatic, sleek dark cabinetry and plank flooring are offset by a white marble-look waterfall surface on the island that’s repeated on the soffit over the range. Fun pendant lights add a splash of color.